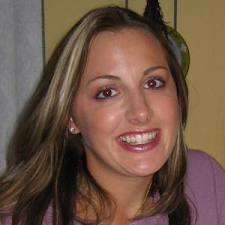 My name is Cassandra Cales on October 28th, 2007 my life changed forever when I couldn’t get a hold of my sister, Stacy Peterson, and my gut instinct told me that Drew Peterson (her husband) had murdered her. She would never abandon her children or me. I have yet to stop searching. Through the years I have met a handful of great people and on the other hand I have met way too many shady glory-seekers wanting to gain something. That being said, I have fought this fight for my sister alone as I trust very few. Law Enforcement has never worked with me or kept me apprised of their so-called “ongoing” investigation. I have to find out my information through back channel contacts and my own personal investigating. In all these years I have not had a vacation. I use my vacation and sick days from work to conduct searches. When those days run out, I still carry on my search at a financial hinderance. Not even a penny from my family. All monies I earn after each pay period I pay my bills and the rest goes to my search efforts. Any additional income, whether it be bonuses, tax returns, or selling my personal stuff, all goes to bringing my sister home. I will sell everything I own, if I have to, even my soul if I could, for my sister’s body to be recovered. In all of my research and investigating and figuring out Drew’s timeline, travel, and whereabouts; I know the truth. It has come time for me to share with the world what I know, as I will no longer bite my tongue and wait. Why am I coming forward with this now? What is the rush? It is because the Will County State’s Attorney and Illinois State Police are moving forward to charge Drew, in the near future, for the murder of my sister; without her body. That is not justice for me, not justice for her, and definitely not justice for her children. There are numerous people doing TV shows, documentaries, interviews, etc. and getting money, profiting off of my sister’s murder. It makes me sick and heartbroken that people would do this and it’s a story to everyone. It’s not a story to me; this is my life. So instead of all of these money-hungry people telling you, I feel like it should come from the mouth and heart of the me. Drew Peterson disposed of my sister’s body on the evening of October 28th, 2007, in the Sanitary and Shipping Canal, after having dropped off his step-brother. I have sonar images of her lifeless body on the bottom of the riverbed, which I will never release. That is not how I want the world to remember my beautiful sister. These images have already made it into the wrong hands of some of my past “searchers” back when I trusted people and thought they were trying to help. Law Enforcement messed up in 2007 and never sent divers down to recover her body. They spent all of their time pulling cars out of the shipping channel (at night, so the media didn’t know) and didn’t care about doing the one thing they were supposed to be doing which was to get my sister out. I made the calls to see what they were doing, and they claimed that her body “could be wedged against one of the vehicles” even though the cars were in completely different areas than her body was at the time. If law enforcement would have done their job, I would have had my sister’s body home, in the flesh, 22 days after Drew murdered her. Law Enforcement again failed to retrieve her now decomposing body in 2008 when my sonar team found her several miles downstream from where we had last located her in 2007. I would not be where I am at today spending everything I have to retrieve her skeletal remains if they had not failed over and over again. I have pulled all of the money out of my 401k, maxed out all of my credit cards, and have hired the best of the best people and top notch sonar equipment to continue to track her remains down. Just last month I hired a dive team to go down to check some Sonar Targets for me, near the last sonar location of her in 2008, which personally cost me thousands. When I go out, I go out and get things done. I do not need television people or camera crews following me. Just because you don’t see me out there or on the news doesn’t mean that I’m not out there still fighting to bring Stacy home. Believe me, I will not give up and I will never stop my search. I will continue my search alone and keep sonaring and hiring professional teams to come in. I already have all permission, permits and plans in motion to have another Sonar/Dive real soon. Based upon where her remains were in 2008, I have had people analyze the probable movements that happened. There is a high certainty that her remains were pushed further into a protected alcove of the canal where barge traffic would not affect anything and the water currents would prevent anything from scattering further downstream. This target area has never been sonar scanned with the high definition equipment or had divers sent down for manual underwater exploration. Based upon this knowledge and other communications I have had with experts, my search teams have been informed that Stacy’s remains may not be the only one in that area. 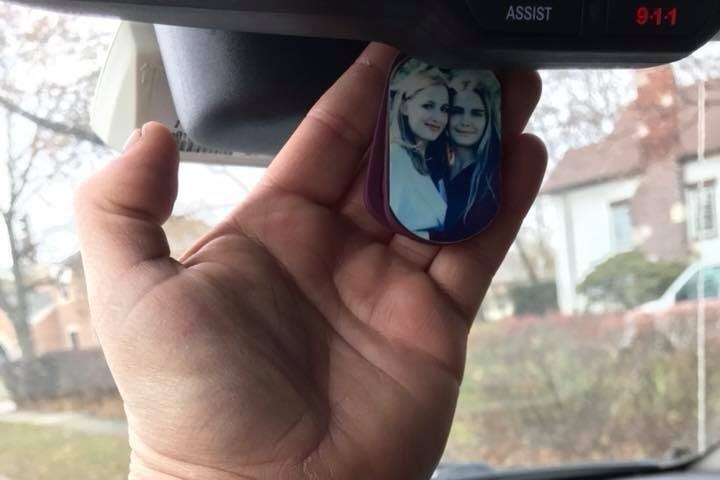 Not a day goes by that our search stops for Stacy. 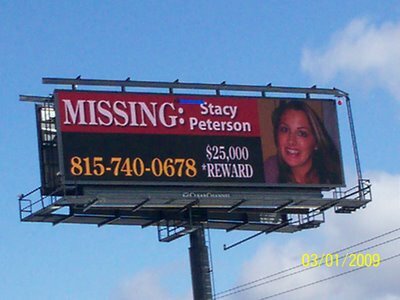 Help us be more productive in our search by helping us get the tools that we need to find Stacy Peterson.